Question : how to add something in the beginning of each line of a file. 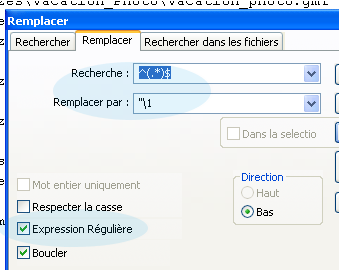 Answer : Use search and Replace and Regular Expression. replace : "\1 : which mean the line prefixed by "
You may have to trim trailing blank spaces, or you will get a space between the last word and your text, unless you want a space.